Bienvenidos a (Welcome to) Day #3 of Chocolate and Venezuela Theme Week. 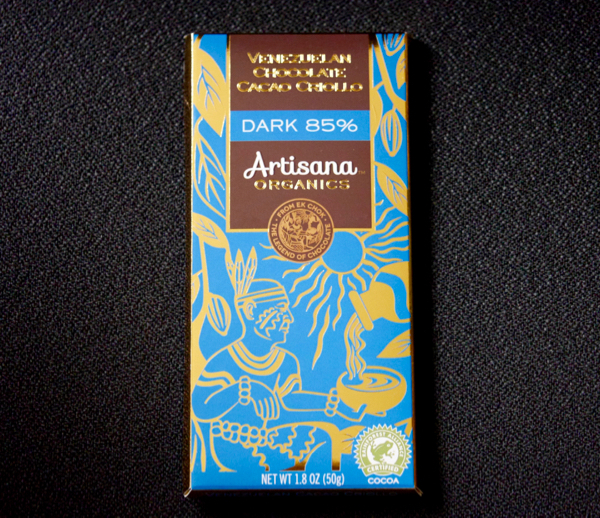 Today's bar is the first in a series of three Venezuelan Chocolate Cacao Criollo bars from Artisana Organics (distributed by Premier Organics, Oakland, CA). This first bar is the darkest of the three, and by that I mean it contained the highest percentage of cacao, weighing in at 85 percent. 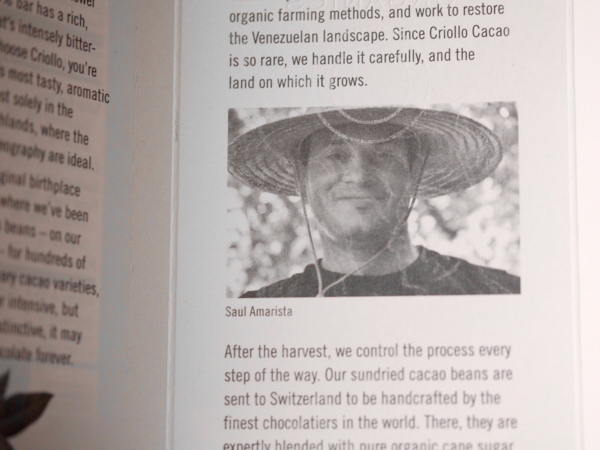 Artisana, founded by Santiago Cuenca-Romero and Saul Amarista, has cacao-growing roots in Venezuela extending back to the 1700s. 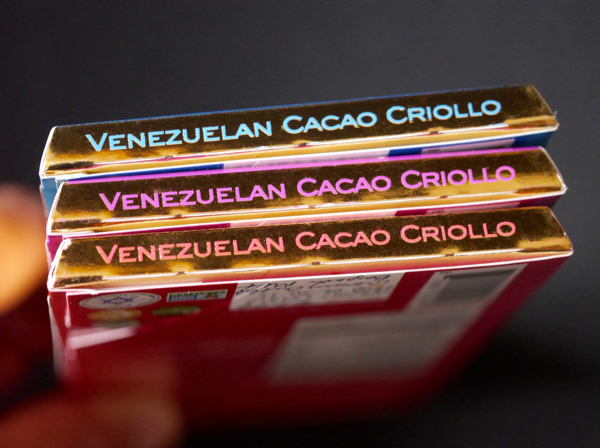 The company follows fair trade practices and use organic farming methods (and Rainforest Alliance Certified Cacao), and sends sun-dried beans in Venezuela to chocolatiers in Switzerland. The company offers a line of chocolate bars, nut and seed butters, and other products. 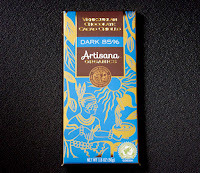 This 85 percent Venezuela dark bar, attractively packaged in a gold foil wrapper, had a sweet hot cocoa aroma with a hint of vanilla, a smooth melt and even taste and texture, and had a slightly bitter finish that faded to a clean aftertaste. I enjoyed the lower sugar level in this bar.